D-"Yes, to me! I do what I want to do, when I want to do it!" 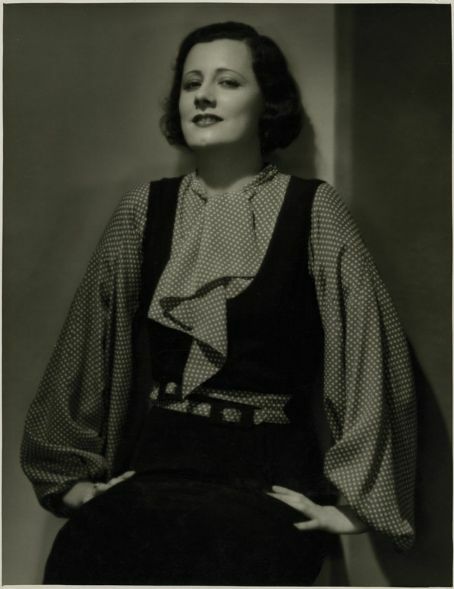 Hard-working and successful Broadway star Margaret Garret (Irene) is not only emotionally and financially drained by her parasitic family (Alice Brady, Guy Kibbee, Lucille Ball and Warren Hymer) but lately traced by ship-owner Dan Brewster (Douglas Fairbanks Jr.). 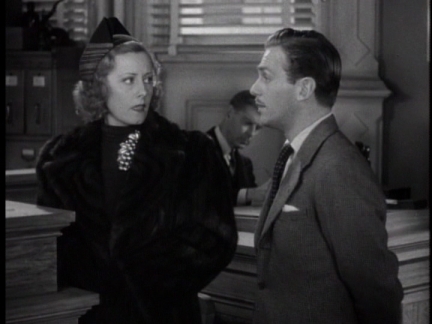 His efforts to gain her attention are unappreciated by Margaret, and she has him arrested. At last they end up at court and to rescue Dan from a six month prison sentence – Margaret had something more mild in mind – she agrees to serve as his probation officer. It turns out Dan is not only infatuated but has a mission and a message. His mission is to rescue Margaret from her family, and here is the “Brewster message”: skip your responsibilities and do the things you want to do, when you want to do them. Tricked by Dan, Margaret spends an evening with him which he uses to convince her that one can have a lot of fun with only two bucks. This search for inexpensive entertainment includes drinking, dancing, roller skating, some singing and more drinking. 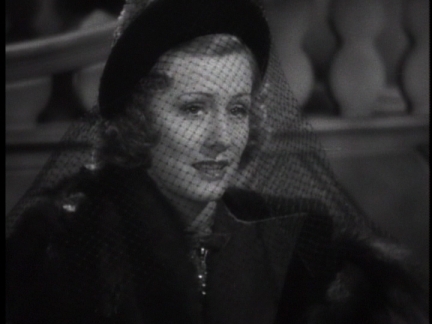 Margaret – anyhow already attracted to Mr. Brewster – starts under the influence of a lot of beer and admiring glances of Dan to earnestly fall for the guy. Our drunken couple lands in Margaret’s bedroom – of course this is harmless as can be – but the family isn’t as convinced as we are, and makes quite a brouhaha. When Dan accuses them that their only concern is the fear to lose their meal-ticket, Maggie orders him out. No one is allowed to speak such disrespectfully with her family. Despite their behavior she still believes that they would stick to her in time of trouble. However, learning that Dan is going to sail for China in the evening she hurries to the dock, proposes, and is accepted by Mr. Brewster. 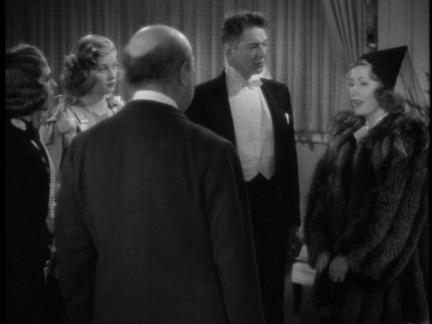 You’d assume that a comedy involving Miss Dunne and a score by Mr. Kern is a sure bet with me, but, well, it is not. I have a lot of difficulties with this film, starting with the basic – the story. There are beautiful “money isn’t everything/enjoy your life as long as you can” films around but “The Joy Of Living” is not one of those candidates. The fact that the ambassador of the aforementioned “Brewster message” is the owner of a ship, a mansion furnished little island and obviously doesn’t have to work much - probably he lives off the family fortune - is hard to swallow. Maybe I’d gulp even this, if the representative of this sort of “Joy Of Living” wouldn’t be Douglas Fairbanks Jr. He doesn’t find a charming, light tone but starts bossy preaching, which simply annoys me. Oh boy, how I wished for Cary Grant or Robert Taylor to be around! Added the absence of chemistry between him and Irene, and this awful, ridiculous “Duck thing” he does all the time, the leading man of “Joy Of Living” just sunk. Sorry, Douglas, I just knocked you out! 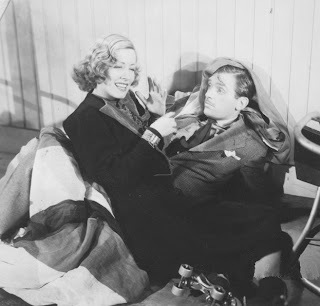 To do Mr. Fairbanks Jr. at least some justice, I have to say, that as his tone lacks lightness the shortage of this fundamental comedy necessity is a main problem of the whole film. They are all trying too hard – including Irene. The first half of the movie is okay and has its moments, but then they start pushing the whole thing over the edge. 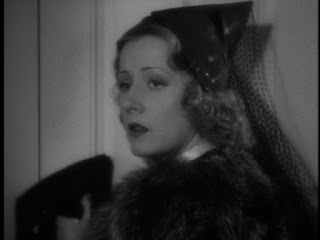 Everything is exaggerated and especially the supporting actresses and actors are at the brink of caricatures. 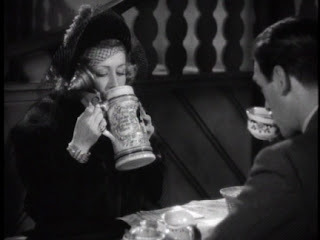 The running gags – Irene’s fight with her veil drinking beer or the reoccurring hiccups for instance – are exhausted to an extreme and repeated over and over again. This comedy is far away from offering any sophistication or wit, and to handle slapstick in such a long stretch – the “we are having a good time” sequence is far too long – needs an expertly tight and stringent direction, which is unfortunately not supplied by Tay Garnett. “Less is more” would have been a nice guideline for this movie. Okay, me don’t like that film…but what about the score? Come on, it’s Kern! Well, it’s Kern, and although those are not songs of an “evergreen” quality they are still very beautiful. The majority of the numbers is presented in the first half of “Joy Of Living”, probably one reason why I like this part a lot better than the rest. 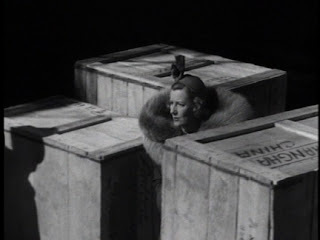 Irene Dunne always gives me something, and “Joy Of Living” isn’t an exception to the rule, but her Margaret Garret definitely isn’t one of my favorite performances of hers. There are Dunne moments where she gets me once again, and she makes a cute drunkard, but that’s all there is. 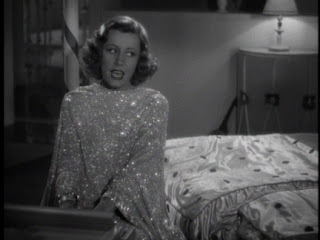 “The Joy Of Living” was a film Irene didn’t remember very well in later years, and I’d forget all about it, if it wouldn’t be for a couple of Irene Dunne scenes and some Kern songs. Aww dear Susanne, I don't agree with you at all. I like this movie even more than her comedies with Cary Grant, it's so sweet and lovely and I just adore her chemistry with Douglas, okay, he is not Cary Grant but he's great, too. Just watched this for the first time in years. I found it pretty tedious, overlong, and the forced frivolity really got to me. 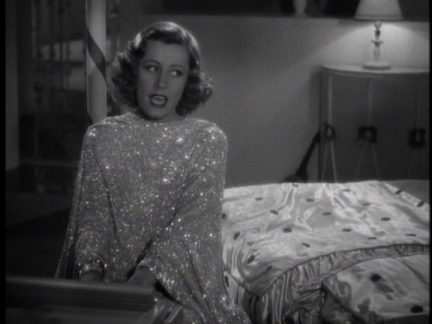 I love Irene Dunne, but this is no "The Awful Truth," that's for sure!